. : Stories Collide: Brokenness and her child, death (3 killings in 1 weekend)...and God's Transforming Love! Stories Collide: Brokenness and her child, death (3 killings in 1 weekend)...and God's Transforming Love! Braylon Harris and Paul Pettefer pray for the families of the deceased. 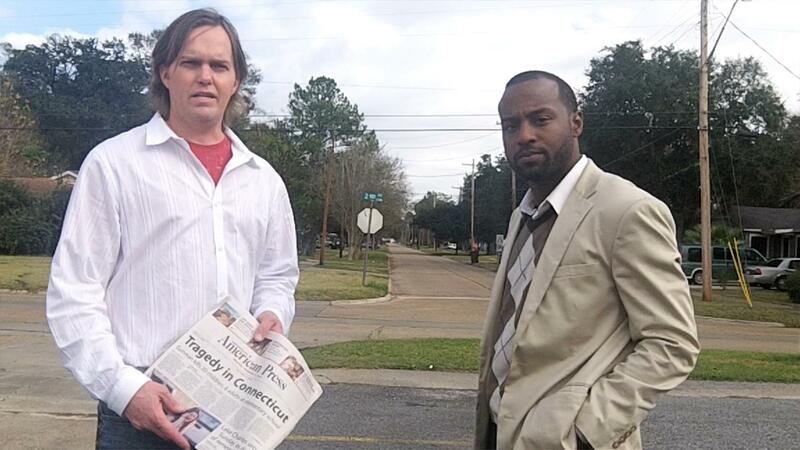 Today (Dec 7, 2012), a couple of friends went together to trace the path where darkness had it's day last weekend, as three different altercations ended in violent deaths in Lake Charles. Paul Pettefer and Braylon Harris made it to two of the sites today, praying for the loved ones grieving such tragic losses and praying for a transformation in our city. The pair are a part of a movement of people who follow Jesus who want see our culture transformed - a transformation propelled by God's love. Those burying loved ones this week are calling for an end to the violence that cut short such young lives this past weekend. We cry with them...crying to the God who made the world for Good, and hurts at the brokenness displayed in our city this week. And in response to our cry, we are calling for the people who follow Jesus in our city to bring the full-on, love-infused lifestyle of God's truth and grace to bear on our city. Watch the videos we will be posting here, comment below, join in the conversation on Facebook (https://www.facebook.com/paulpettefer,, https://www.facebook.com/theCityChurch). Some friends are planning to gather and be in the Louisiana Avenue neighborhood (just North of Prien Lake Road) Saturday, December 8, about 4 pm. Meet with us there as we pray, share some love from God and be good news to the neighbors. If you are connected to a church, then engage your life and heart there in following Jesus. Use this site can be a source of encouragement as we, as an entire church in Lake Charles. move more and more into an active, full-life engagement in transforming our culture. If you are not connected to a church, we want you to know God is for you. And so are we. 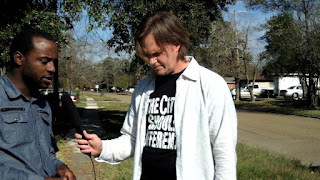 Feel free to contact Paul Pettefer at 337-794-9891, or paul@theCityChurch.us to join in your voice to the conversation. Email paul to get updates from theCityShouldBeDifferent.com. Paul leads www.theCityShouldBeDifferent.com, a movement oriented ministry whose objective is to be a catalyst to change the city. Braylon is the Pastor of Mount Olive Baptist Church, which meets at 600 N. Simmons St, Lake Charles. We will be adding more over the weekend, and welcome your voice into the conversation.